We wanted to hang out by the beach last Sunday and did so at Tanjong Beach Club at Sentosa for brunch. I really like the Tanjong Beach area since the place is not as crowded as Siloso and Palawan Beach in Sentosa. The entire area is extremely dog friendly as well, which is perfect for pet lovers like me. 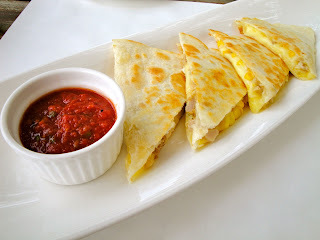 I had the Chicken and Corn Quesadilla (SGD 14.00). This was a nice and light quesadilla. No jalapeño or any other spices so this makes it suitable for breakfast. They have a spicy chorizo version which would be a better choice for those who want a kick in their quesadilla. 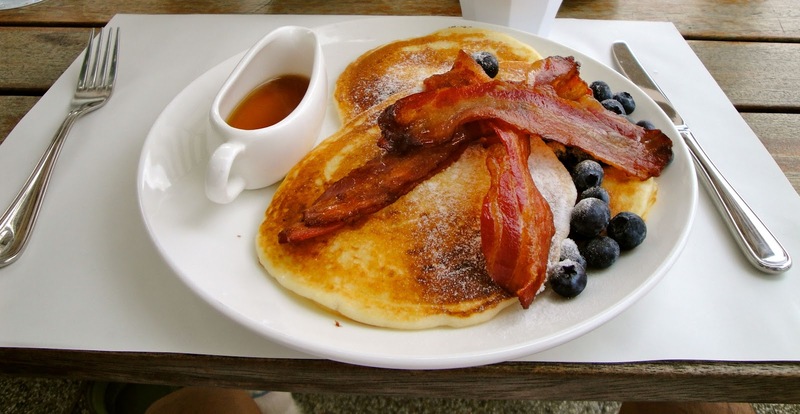 The husband ordered TBC Pancakes with fresh blueberries (SGD 12.00) and bacon (additional SGD 4.00). The colors on the plate were very appetizing. My husband normally likes thinner pancakes, but he still very much enjoyed these fluffy pancakes. For sides, we had the TBC Black Truffle Fries (SGD 14.00). I could not taste any hint of truffle whatsoever and could only make out the disproportionate amount of salt. 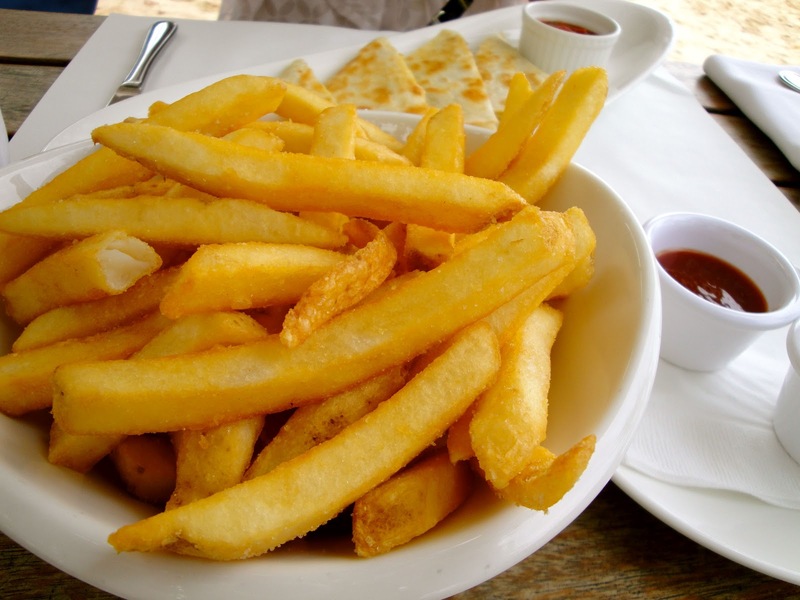 There are definitely better truffle fries out there. 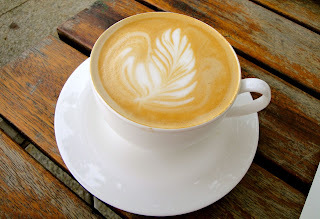 I had a Cappuccino (SGD 7.00), and of course I'm such a sucker for cafe art so this was obviously very appealing to me. Pretty steep pricing though for a cup of coffee. Tanjong Beach Club has a really lovely view of the ocean, and the brunch menu is pretty decent. Service was efficient, and our waitress was extra friendly and accommodating. Pricing for the food is acceptable, though I feel the drinks are too expensive for my liking (coffee averaging at SGD 7 and a bottle of Heineken at more than SGD 20!). Overall it was a pleasant experience, and the location and ambience is enough in itself to warrant some repeat visits.